Mutual fund prices change along with the stock market. Mutual funds offer investors the ability to put money into many different investments with a single purchase. Each mutual fund collects money from investors and uses it to buy assets that it hopes will grow in value. These assets may come from one sector of the economy or from many different areas to spread out the risk of investing. 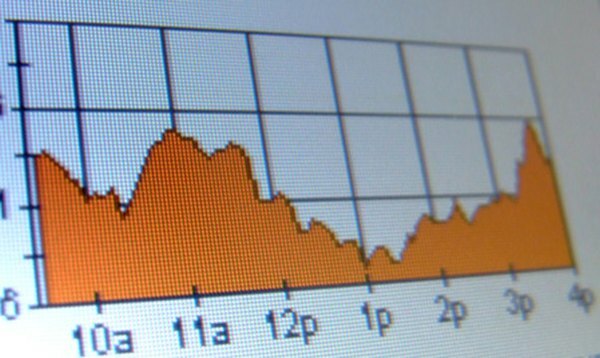 Regardless of how it's set up, a mutual fund can see its price change over time. A mutual fund's price is calculated as its net asset value, or NAV. The NAV for a given mutual fund is the price of its assets (with all of its liabilities subtracted) divided by the number of shares. This means that mutual fund prices are subject to change based on many of the same factors as stock, including the assets and liabilities of the fund or company and the number of shares that are issued to investors. The key determining factor in whether a mutual fund's price goes up is the growth of its assets. Most mutual funds include stock in numerous companies. Some also hold bonds, real estate, currency and commodities futures. As these individual investments rise in value, so does the price of the mutual fund. If too many of its assets lose value, or grow slowly, the mutual fund will see its price go down or hold steady. Mutual funds are run by fund managers, who decide which assets to buy and when to sell them. Fund managers incur costs, which reduce the price of a fund. However, a manager who can keep costs low and choose assets that are poised for growth will be able to make a mutual fund's price increase. Some funds are actively managed, with their assets changing every day. Others remain largely the same based on initial decisions made by the manager when the fund was started. In some cases mutual fund shares are available to buy and sell on the open market. This means that buyers and sellers set the price of the fund, as with stock. If a particular fund is doing well, investors may be willing to pay more than its current NAV, expecting the fund to grow in value. If a fund is overvalued, or inflated, investors may be less willing to pay a premium for shares, causing the price to fall.